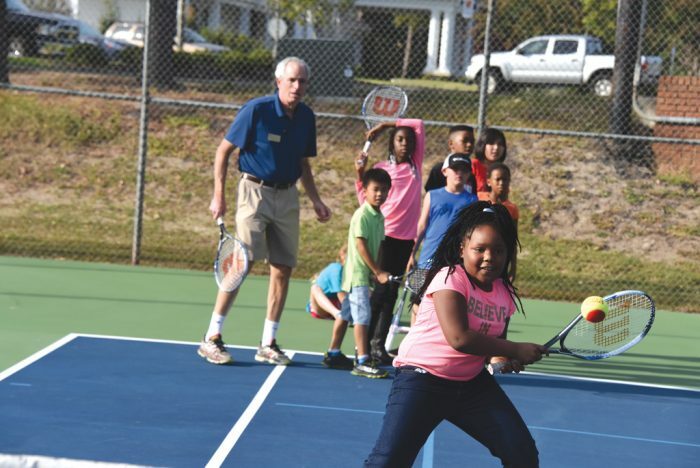 The Augusta University Literacy Center, a program that aims to deliver literacy-related community service, sits in the backyard of Newman Tennis Center, home of Jaguar tennis. During tutoring sessions, students at the Literacy Center have always been able to watch through windows as athletes practice and matches are played. But they’ve never been a part of the action. For the past two years, Dr. Chip Darracott, associate professor of kinesiology, and Dr. Paulette Harris, Cree-Walker Professor of Education and Literacy Center director, have had conversations about combining literacy center tutoring with tennis lessons. This year, Darracott and Harris began researching the effects of pairing aerobic activity with tutoring. Last spring, the pair conducted a pilot study, and on Oct. 24, the tennis lessons began. Augusta University kinesiology students volunteered to help Darracott teach tennis to the Literacy Center students. Following lessons, Harris worked with the students. 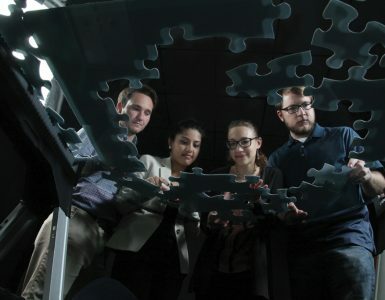 Harris and Darracott are excited about the potential of their research and are hoping that the athletic/academic model they created will expand beyond the Literacy Center. Ultimately, Harris envisions the Literacy Center becoming about more than just tutoring.